This month with Elk & Knoxy, we're going behind the scenes on our Secret Golf Player Channel shoots and giving you access to three of our PGA Tour pros - Martin Piller, Chris Stroud and Bronson Burgoon. Over the course of the next three podcasts, you'll find out more about Secret Golf, what actually goes on during our shoots and hear from the players themselves. This week, hear what drove Elk to come up with the Secret Golf concept of golf instruction and we talk to Martin Piller about his day of filming, his game and his very exciting 2018...! [THEME MUSIC] THEME SONG: It's Secret Golf. It's what I'm looking for. It's why I get up every morning, call my good-timin' friends. It keeps me coming back for more. Secret Golf. We're headed down the road. We just loaded up The Big Show, going lookin' for the heart and soul. Roll until the wheels fall off. It's Secret Golf. Shh, it's a secret. Hi, and welcome to another Secret Golf podcast with Elk and Knoxy. I'm Diane. I hope you're good. I can't believe it's December already. Now, we have been doing this podcast for a good few months now. And with it being the final month of the year, we felt we would end by doing a behind-the-scenes look at our Player Channel shoots. Our Player Channels are all online at secretgolf.com. And Elk's going to be here soon just to explain why he started Secret Golf and what he hopes to achieve with these Player Channels. Now the reason we're doing it now is because we are actually shooting with three brand new players-- Martin Piller, Chris Stroud, and Bronson Burgoon. So over a series of three podcasts, I thought we could look at each of them, have a talk with these guys after they've shot their Player Channels, get their perspective on it, talk about how the shoot actually went, and their games in particular. Kind of delve a little bit deeper into these players, and then you can get to know them better through Secret Golf. We're going to profile one of the players each week. And we are starting with Martin Piller. So I'm going to get him on the phone from the course in just a little while. But first, I wanted to get Elk on and have a chat with him about what Secret Golf is and what he hopes to achieve. So I gave him a call when he was at one of the Player Channel shoots on a lunch break to tell us a little bit more about it. So the mastermind behind Secret Golf is, of course, our very own Steve Elkington. Elk, you're very busy right now doing Player Channel shoots for Martin Piller, Chris Stroud, and Bronson Burgoon. So over the course of the podcast, we're going to talk about all three of those. But to start, let's take it all the way back. Tell me, why did you start Secret Golf in the first place? Well, I think there's an opportunity-- of all the years, Diane, of playing on the Tour and seeing so much golf, that the technology-- meaning cell phones-- everything is going to a mobile digital device. I thought it was an opportunity to get on film what I know about golf. People have watched me play golf on the Tour or on the TV for all these years, but they don't really know how we do it. And I thought that's very valuable to capture. And I started five years ago with Jackie Burke, and Pat Perez, and Jason Dufner. And it's grown now to 21 to apply, as we have now. And what our mission is, we are trying to shoot videos that would help players in their handicap bracket-- so breaking 100, breaking 90, breaking 80, breaking 70. Imagine a curriculum that was written-- that addresses every single part of the game-- that you could go to and find exactly what video you need, for what part of the game you need it, and when you want it. So that's our mission. It took us a long time to get the matrix right to where we basically put in every possible question in golf on a video. Yeah, I mean, it's personalized golf instruction from the people that know it best. That's the thing. You've hand-picked all of these Tour pros. We have from the PGA Tour, the Web.com Tour. We have LPGA. You've hand-picked them all because you've got this relationship with them where it's a respect thing. You can get the best out of them. For sure. And then they're not by accident, the way I pick them. They've got good personalities. They speak well. They're excellent. When you get sick you have a serious illness, you want to go see the best doctor. So I wanted to just say that some people are intimidated to get a lesson from a Tour player. But we don't see it that way. Because going out, playing the Tour, we play with amateurs all the time. And usually in our group, Diane, we'll have someone maybe at your level, maybe a high-handicap player-- a 100-shooter, let's say-- someone who is maybe 80. Someone may even be really good. We've been accustomed to talking to a 100-shooter in a 100-shooter's language. Like, the question from a 100-shooter might be, how do I get over a bunker? How do I hold the club? And then you've got all the way down, of course, to all the expert stuff. So we're very cognizant of the right terminology for each person. And also the access that we're getting to these players at Secret Golf. No one else is getting that. No, and that's our advantage, of course-- our business advantage. Because, of course, all of our players own part of Secret Golf. And they are building the biggest platform for learning on digital that's ever been done. 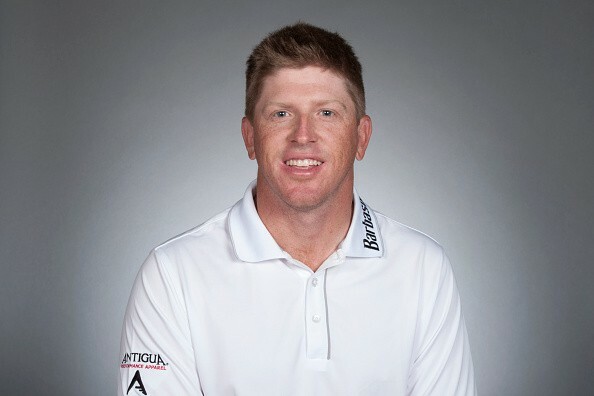 One of the great things about being with these Tour players, in this case, on this podcast-- we're talking about Martin Piller, we're talking about Chris Stroud, we're talking about Bronson Burgoon-- it gives people a backstage pass to come and learn more about these guys. I mean, they could watch them their whole life and never really know what they do. At Secret Golf-- as you know, Diane-- we give them every opportunity to tell their story, every opportunity to learn more about them, listen to them and how they became good, their journey, what we're trying to accomplish. And I've just enjoyed, personally, being around these young guys-- gives me a lot of energy. And I like it. I know you do. So our first Player Channel shoots, and the first guy we're going to look at here, is Martin Piller. It's an exciting time for him right now. He's going to tell you soon one big reason why it's an exciting time for him and why 2018 is going to be life changing. But he was playing Web.com last year-- got a win. He's had a lot of wins now playing on the Web.com but won the Ellie Mae Classic And then playing the Web.com Tour Finals, he managed to secure his cards for the PGA Tour-- obviously, played the wrap-around season and did pretty well. We're excited about his Secret Golf Player Channel. And I have got Martin on the phone right now to have a little chat about it. How are you? I'm great, great. Thanks for having me. Tell us where you are right now. Set the scene. So I'm back home in Dallas, Texas. This is where I've lived my whole life. I grew up here-- born and raised. And out here at Maridoe with Maridoe Golf Club, the new golf course, and we've been having a great time today. OK, so you're literally-- I know you've just finished lunch. So I presume that the whole Player Channel has been shot. Then you and Elk had a little break for some food. And now you have to talk to me So how did it go? Tell me about it. Was it good? Yeah, yeah, it was great. We've mostly done short-game work all day today, which is great because that's probably my favorite. That's probably my strength. So short game is pretty simple and easy for me. The longer game, I may have to defer to some other people. But the short game was good. And we did putting first. And then we did chipping, and pitching, and some more wedge play. And then we moved on to some course management stuff. But it's been pretty good. It's been a pretty fun day. We've had a good time. We always laugh about Jason Dufner. Because when we showed him his Player Channel he says-- with the putting-- he's like, don't come to me. Go and look at Jackie Burke's Player Channel. Go to his putting section. But that's the thing, we all work together. That's funny. They told me that. That was funny. So someone coming to your Player Channel at secretgolf.com, what would you love for them to take away from it? I think, for sure, my putting and chipping and pitching. I think people can-- I think that's the strength of my game. And I think people can learn a lot from that. I feel like, especially with chipping and pitching, I feel like a few things that are key for me are very easy to help people with-- the way they strike the ball, with striking it solid, and making sure they have solid contact-- I think putting as well. I think there's a lot of things on my channel that will help them out a lot. And then maybe more some of our core-strategy stuff from a mental standpoint. And I feel like-- mentally-- I have a lot to offer in that regard. So I think those are a few things that people will really get out of it. Well, we know your putting's on form right now because you got that fourth-place finish at the OHL Classic in Mayakoba. And some of the putts that you were sinking in that tournament-- unbelievable. So you must feel that you're pretty geared-in, wired-in to putting right now. I do, yeah. I feel like I usually putt well most every tournament. And it's just that I can kind of put the other pieces together. But I always feel like I can putt as well as anybody out there. And which isn't to say-- there's a ton of great putters out there, obviously. But I feel like I can do it just as well. But, obviously, Mexico was a fun week. And it was nice to get off to a good start for the 2018 season. Now when we're doing these Player Channel shoots, obviously Elk is with you all the time. And he's very hands on. One of my favorite things about him is the fact that he understands it from a viewpoint that-- you know, the viewpoint that you're in right now. And not many people understand it the way that he does. He's been there before. The two of you are on a level playing field in many respects. Did he give you any tips? Did he get involved? Did he teach you anything today? Yeah. I like hearing-- you're absolutely right, first off. Because he's been there. He's played at a extremely high level. And so I think it's really cool to listen to him. I learned a lot. I like just listening to what he talks about from his mental standpoint-- how he thinks on the golf course, how he thought about his confidence level, his belief level in himself-- those are the things that I thought were pretty cool. And what about the other way around? Do you feel that you taught him anything today? He learned how to putt. --I haven't won any majors yet. --when he does these shoots, he definitely takes something away from each of them-- each and every one of them. And when we shot your wife, Gerina, there were so many things where he was like, that makes so much sense to me. I never thought about it that way. So I'm going to adopt that and put that into my game. So I guess the more information you can take, the better. Well, you could certainly learn a lot from her-- she's awesome-- from a physical standpoint. She has incredible fundamentals. But you can absolutely learn a lot from her. But that's really cool that he said that about her. We had Gerina on the podcast just a few weeks ago. And we asked her, when you and her both have time off, do you play golf? And she said, yeah, we do play golf. But we decided very early on that we were not going to compete against each other. Right, yeah, no. That's a good way of putting it. I want her to-- if we do play, I love playing with her. Because she's really good and just lovely to be around. But whenever we do play, I want her to beat me. Because that means she's playing well and doing good stuff. Now you were saying that your short game-- your chipping, your pitching-- you see that as kind of a strength of your game. Today-- shooting your Player Channel-- how do you feel when you're actually trying to explain that to someone else? Is it something that comes quite naturally to you? Yeah. There's a few things that are a little more difficult to explain. But I do enjoy it. And I thought about it, obviously, before I came. And I thought about the things that I wanted to say-- and try to get it out in a very simple manner-- that it's very understandable. But I do. I do enjoy it. I think a lot of people-- when I was a kid starting out, I always wanted-- even to this day-- I love hearing what really good players have to say about their game. And because those are the guys that they actually go out, and they play it. And I love hearing that. So I think everybody benefits from hearing it word-of-mouth from the actual player. And it's interesting that you say that when you were learning to play golf. Because I guess now with advances in technology-- and what we're doing at Secret Golf is having these tailor-made videos that anyone, of any handicap, can come in and they can tap into this. And it's-- almost-- the videos are tailor-made for them. When you were growing up, is that something that would have benefited you? Yeah, absolutely. Just because you had instruction, but still you wanted to-- like if you could go back. And you could say, man, how about, like, Fred Couples teaching-- what does he think about for his rhythm? Or Luke Donald, tell me what you think about when you chip and putt-- or Phil, when you hit the flop shot-- or Jordan Spieth, when you have a 10-footer. --whatever. It's like people who do things very well, hearing what they do-- I think-- is invaluable. And I'm going back to your wife, Gerina here again. But when we shot her Player Channel, obviously Solheim Cup, she's played on-- what was it? Three Solheim Cup teams she's played on now? She's an Olympian. So to hear it from that standpoint, you're just not getting that anywhere else. Right. Oh, absolutely. It's invaluable. You may hear it here and there in an interview-- or something here or some other platform-- but you don't get the in-depthness. Because Elk is there with you, walking you through, and asking you good questions. And he's right there. And that helps you get out-- literally, there's no stone left unturned with your game by the end of this thing. And you kind of hit through everything. And you just don't get that anywhere else. You've answered the question a little ways, but why did you want to be part of Secret Golf in particular? I think just because the reputation that Steve Elkington has. I grew up watching him. And he always had a reputation of being one of the more accomplished guys in golf. And certainly from a swing standpoint, everybody loves his golf swing. And I think when Steve Elkington asks you to be a part of something, I think it's something that you need to consider. Because I think it's a guy who's had that much success, it's like, wow. This is pretty cool. And so I think mostly having Steve on board is what drew me to it. Are you one of these people that you like to watch what other people does? For example, Steve said before that when he was learning golf, he would study videos. And he would do slow-motion videos and break down every single bit of what someone else was doing. Do you operate in that way as well? To some extent, it's just an area that I need help on. Absolutely. If you are struggling with your chipping or pitching, you go watch Jordan Spieth. And you go watch him pitch and chip. And it's because he's one of the best. And I would rather watch somebody who's really good at it than maybe here at a swing instructor telling me how to do it. Because the swing instructor hasn't been in a major. And this guy has actually done it. And I would much rather listen to that than anybody else. So absolutely. I think you learn your best by watching the best do something. You touched on it earlier as well, but the mental side. With our Player Channels, we really explore that because we're hearing you go through every single little thought process that you have before you take any shot. How important is it for you to work on that mental side of things? Man, it's everything. It's everything. Because if your mentality is not where it needs to be, you can get by on some talent. And you can get by on certain things. But I don't think you can totally be that successful without a great mental game. And I think learning what makes you successful is really important. And learning what you need to do, what you need to think about, is really important. And confidence being a huge part of it. Confidence has to be very good for you right now though after last year-- Web.com, you got your win in the Ellie Mae Classic, the wrap-around so far for the PGA Tour, obviously that tied fourth finish at the OHL Classic in Mayakoba. So you have to be feeling confident right now heading into next year. I do. Yeah, I really do. I think that I've won six times now on the Web.com Tour, and that's great. But it's time for me now to really believe that I belong on the PGA Tour. And I had a good finish there down in Mexico. And that was awesome. But I'm looking to do more than that, hopefully, in the future. And I want to really start believing that this is a place where I belong. And I do feel good about my game, and I'm really looking forward to 2018. Well, you're looking forward to 2018 in a golfing sense but also in a personal sense because you and Gerina have a baby on the way. Yes, we do. We were waiting. We were waiting this year. As you mentioned, she played on Solheim Cup this year, and she was pretty high up in the points list. And so she knew she was going to make that team. And she was going to be a big part of it, this being her third Solheim Cup. And it's like, OK, you're going to be a big part of this. And so we waited. In fact, Juli Inkster, the captain, approached me early this year and said-- basically-- Martin, I need her. In a sense, I need you to wait one more-- I need her one more time for this, which I understood. Because it's a big deal. It's a big deal To be able to represent your country. And those team events are really, really cool. But it was all in good fun. But that was a big part. And so we were kind of waiting for that to come and go. And then we were lucky enough to get pregnant and now a new reason to celebrate. I know. And the baby is due in May. So Gerina won't be playing on the LPGA Tour for awhile while now. She's kind of said-- well, she hasn't really said. I guess it's a case of waiting and seeing what happens because the baby's going to change both of your lives completely. It will. Yeah, we'll see. I know she's not done, for sure. She'll play again at some point. But it absolutely will change both of our lives, obviously. But she's definitely not done. She'll play again. And we'll have the same life, but we'll just have a new little Piller running around. Well, the two of you have been playing on your separate tours for such a long time now. This is going to be amazing because I guess it means that you're going to be spending more time together, with Gerina actually traveling on the road with you to the tournaments. Yeah, we were just talking about that the other day actually. She'll get to come to the West Coast with me and travel quite a bit, really. And it's probably going to be actually the most we've seen each other-- ever-- throughout the course of the year. Because she would get to go to a handful of my events, and me the same with her. It just kind of all depended on the schedule. But she's definitely going to get to come a lot more on more tournaments. And so that aspect is going be really, really fun. Because we know that you missed some events towards the end of the Web.com season last year-- or last season-- to go to Solheim Cup and be there to support her. And I love the story, as well. When you won the Ellie Mae Classic, she was actually in Scotland-- where I'm from. And you guys were FaceTiming. And it was whatever time in the morning, and she was in the pub. So now you'll actually get to celebrate together. I know. I couldn't believe it when she was still up. Because we were in California, so we are all the on the West Coast. And she was-- I don't know what-- some ungodly time, like 3 AM or something in the morning, and she was up. Because, you know, you've got to seem fun-ish. And so when I saw she was up, I'm like, oh my gosh, you're still awake. And she's like, of course. And so that was really cool. That was a great week. If there's any country in the world that you're going to be in a pub drinking until all hours, I would say Scotland is up there. That's from a lot of personal experience. I'm sure you'll have some company. Sure you'll have company. Exactly. But it won't be Gerina in the pub for a while now anyway. No, no. She'll be sitting at home for a long time, for a little bit. Or with you in a hotel room. She's become a big homebody these past few weeks. She's like, I love being home. But her family has always been super close anyway. And every time we've spoken to her, she's always stressed just how the golf's important-- your golf or her golf-- but the main thing is the family and being together. So now you're growing your own little family. Yeah, we are. Family is important, and the golf is important. And I think it's important that she be able to do certain things like those Solheim Cups and the Olympics. And those are things that-- I told her. I was like, listen, family is important. But when it comes to golf, you don't know how many times you'll get to do that. I said, you don't know how many times you'll get to play the Solheim Cup-- or in my case, playing on a Ryder Cup or something. If you get one, I mean-- you may get one, and that's it. And I said, that's important too. So I'm glad that she got to experience those things. I think that was important. Yes, hugely, hugely. And as you say, she's a very athletic person. She's a very competitive person. So it's not the end for her, in any way. No, no. I think she'll definitely play again, for sure. That she's definitely not. She won't play this next year. But the new year after-- I have no doubt-- she'll play some. Good, that's excellent. Well, give it our love when you talk to her later on today and all the best for the pregnancy as well. We're excited. For me, I'm excited that she's going to be on the road with you and, obviously, everything that you've got going on over the next few months. So first tournament, going to be off to Hawaii in January? It will be, yeah, Sony Open. And it will be the first, and then we'll be on the West Coast to start the year. Lots of fun. All right, well, thank you for spending the day with Secret Golf. We already have, obviously, shot the Player Channel today. So we will be sourcing it all out, getting it ready, and getting the Player Channel live at secretgolf.com. But thank you so much for being part of it. And we're excited to see what you're going to be teaching everyone and where this is going to go. Martin, thank you so much. And have a great holiday season at home with Gerina and all the family. Oh, thank you, you too. Have a great Christmas and everything. So that was Martin Piller, one of our new players here at Secret Golf. His Player Channel is going to be coming to the website-- and for you-- next year. I cannot wait for it. It is an exciting time for Martin right now-- regaining his PGA Tour cards-- and, of course, for him and wife Gerina with the baby on the way. Elk's on the phone right now. Elk, we've talked about this a lot before. You're a big fan of Martin Piller, the guy that he is. You love spending time with him and his wife, Gerina. But now we've done his Player Channel shoot for Secret Golf, what did you take from the day with Martin? He could be one of the greatest short-game players I've seen. That was my first thing to come out of my mouth. I mean, it's incredible. I think Martin has so much. He's so optimistic. He's so positive. He's just good. He's been-- I don't want to say-- waiting for his turn to go on the Tour. He's won six times on the Nationwide. He's been on the Tour once before and dropped back. But it's evident to me-- and it will be to everyone else that listens, and talks, and sees Martin Piller's game-- he doesn't belong on the Nationwide. He's a PGA Tour player. And he's very optimistic and excited to get out there. That's evident. He's such a straight hitter-- probably one of the best chippers and putters I've ever seen in my life. So his Player Channel is lots of juicy goodies over there for people to learn from. And his wrap-around season was great. So he's going to be starting at the Sony Open in January feeling really confident, especially on the greens. Yeah, they were joking the other day when he was in Mexico. The commentators were saying, oh, and here's Martin Piller. I wonder if he's going to make this 30-footer in the side of the hole, or is he going to go dead center? And there he did it. He did it again. They were just joking how good this guy putts. So I learn a lot from Martin-- just the way he goes about his business, and what he's interested in, and what he's not interested in. So he's very streamlined. Of course, I'm sure-- with Gerina being his wife-- they're very focused on their careers. And I'm so excited they're pregnant. And Gerina's going to take a total break, and she's gonna get to travel with Martin. So that's going to be good for him too-- being out there together. Martin did actually say it was going to be the most time they had ever spent together. They're such a lovely couple, very sweet. So good luck to you Martin and Gerina. It's going to be a very exciting 2018 for them, anyway. So we're doing behind-the-scenes, Player Channel-shoot CDs for the podcast. That was about a mouth full. But the next one is going to be behind-the-scenes with Chris Stroud. It's been an interesting year for Chris, 2017. He only had conditional status on the Tour. But then the best thing that could have happened, happened. And he got his first ever win on the PGA Tour. So we're going to be talking to him next week, backstage, at his Player Channel shoot-- and also looking at the amazing charity work that he's doing for the Hurricane Harvey Relief Fund. He's a brilliant guy. And that is coming on the Secret Golf podcast next week.